Why Do You Need A Sound Database Management System? When you finally decide to clean your house or room after several weeks of avoidance, you find many things that are totally out of place. So, you think of making a system to make it easy for everyone to keep things at their intended place. You define various categories and classify the household things with various names under its respective category. Even then, you may find some discrepancies in your categories because planning and execution are two different things. In similar fashion, an organization can take steps to manage its valuable data, commonly known as a company database. Thus, several databases can be created and managed through a system, called database management system. It provides users and programmers a systematic way to create, retrieve, update and manage data. 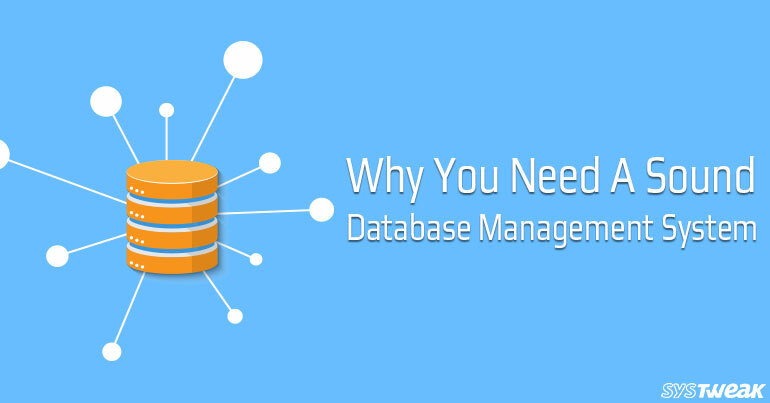 That is how you can make and use a good database management system in your life and work. We are human and we have the good reasoning power. That is how we manage our knowledge to correlate, monitor and report the collected information of our organization. All this collected information can become a centralized database in the computer. You can describe it as One Stop Help Center. Anybody in the organization can get quick replies through the software to the questions asked. This database management system must have hierarchy level, so that it can reply to the questions with multiple criteria. A good system must inform you everything you need to know. The user must get the reply to his/her question with a few mouse clicks. Therefore, the interface must be structured user-friendly way. The terminology and the concepts in the data must be specific to the user’s competency as far as possible. The user must be able to focus on the data rather than the intricacies of the database links and forms. A well-organized database becomes a best treasure of information and gives the user only what he needs. Today’s world has become so much complicated that one need all types of permutations and combinations to resolve a query. DBMS must become a tool that should cover long term goals of the organization. People, procedures, data, hardware, and software comprises this data environment. A single software application manages this database at one place rather than by many people throughout the organization using paper work. DBMS produces the efficiency in our personal life as well as in our working life. This one-stop system can bring people and processes together. It provides consistency of spelling, and syntax. It eliminates duplicated effort also. It is well worth the time, money, and effort spent to bring the database to a purposeful use. Sound logic helps you face any problem of life. Similarly, sound management is also an integral part of database management. Right approach is required to input, capture, analyze and report information.